Home » Blog » Presenting Osa Birds! This is the official launch of the Osa Birds: Research and Conservation website! 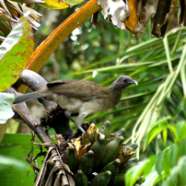 We are a non-profit charitable organization dedicated to birds on the Osa and southern Pacific region. Our presence here on the Osa Peninsula and surrounding areas is centered on the conservation of resident and neotropical migratory bird species. Our primary focus is to understand that factors that limit some bird populations and look for innovative ways in which to reduce the pressures placed on birds through science, strategic management planning, community outreach and education. We would like to thank all those that have helped and continue to help Osa Birds get off the ground. Your support has been invaluable! Please look around our site and check out our facebook and other social media links. Feel free to contact us with any questions you may have.